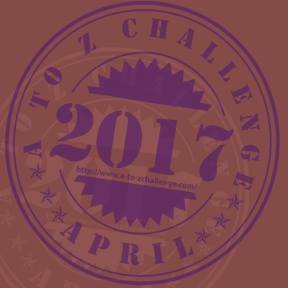 I was thinking about some of the loose ends in gamebooks and I was thinking that if we saw sequels to gmaebooks, what could they be about? Here are some sequel suggestions. Please add more of your own. Warlock of Firetop Mountain - Already done. Twice. Starship Traveller - Maybe one of the races you came across decided to try to use the black hole you went through to invade your dimension. Maybe a race came up with the technology themselves after meeting you and arrive into your dimension and you are the only one who can stop them. City of Thieves - You have probably made a few enemies while you wnadered around Blacksand. Maybe they want you dead. Or maybe you have to return to Blacksand despite the fact that you have committed several crimes and that you have a unicorn tattooed on your forehead, making you stand out a bit. Deathtrap Dungeon - already done. And that sequel has its own sequel. Of course, the format seems popular so there is nothing to stop a Deathtrap Dungeon 3. Island of the Lizard King - So you have freed the slaves, but there is still plenty of gold on Fire Island. Maybe you will lead an expeditionary force to clear out the island and get the gold for yourself. Scorpion Swamp - All three stories are ripe for a sequel - if you give Grimslade a load of masters' amulets, what is he going to do with them now? If you made a map for Poomchukker, what adventures will you have on his caraven? If you returned Antherica to Selator, how will the forces of chaos react? 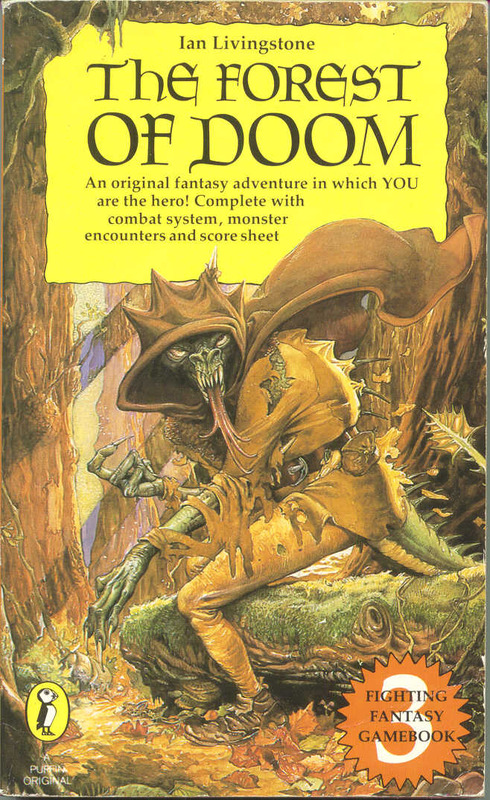 Caverns of the Snow Witch - Forest of Doom was a kind of sequel to this as it is implied that Stubb will be part of the Dwarvish group sent to recover the hammer. Unfortunately for him. Talisman of Death - Already done. Space Assasin - You've captured Cyrus but there's all kinds of crazy stuff going on in his ship such as a sentient pilot, an ecosystem and a deadly virus that may or may not have already been developed. Temple of Terror - Leesha did not get enough screen time. She rules the city of Vatos and seems to have unlimited wealth and magical power (she gives out rings that make people invulnerable to being hit in combat.) What would happen if she decided to expand her rule? Seas of Blood - There is no honour among pirates. Abdul the Butcher, sick of trying to beat you fairly just tries to hunt you down and kill you. For all you know, his crew has already ambushed your crew and sunk your ship while you were showing him your massive wealth on the mountain. How are you going to get out of this one? Sword of the Samurai - Hachiman is still being assaulted by barbarians. Now that you have Singing Death, you can lead the army to victory. Trial of the Champions - Already done. Robot Commando - You've repelled the invasion fleet, but this may be the beginning of a large scale war. Masks of Mayhem - The magic of the masks may be released again. Creature of Havoc - Thugruff is still alive and he still commands a large army of chaotics. What is he going to do now? Beneath Nightmare Castle - Xakhaz could be released again or some other nightmarish cosmic horror god of Zagoula may be released into the world. Crypt of the Sorcerer - Ungoth the skeleton king is still alive. He is a powerful sorcerer in his own right and although he was just some glorified quiz host for Razaak, I bet that now he has no employer, he can be a good villain in his own right. 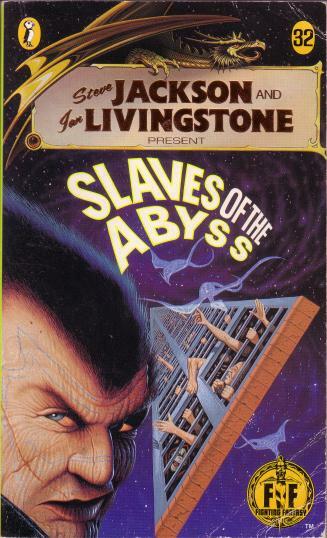 Slaves of the Abyss - What are your adventures involving the gods and where do you travel to in time and space? Portal of Evil - There may be another portal that is letting in dinosaurs or another tribe. Legend of the Shadow Warriors - How do you reintroduce Voivod to humanity? The Crimson Tide - Your adventures as the Eyes and Ears of the God King are only just beginning. The Sorcery! series - there is still a large dangerous army in Mampang. Who will lead them next? 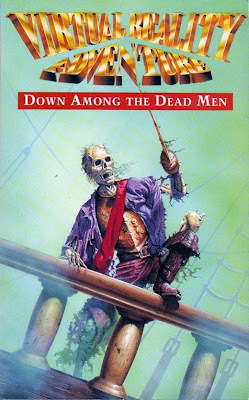 Down Among Dead Men - There are plenty of sequels here - El Draque, the sorceress on the island, the ship in the iceberg. There's plenty of material here. Heart of Ice - Loads of sequel material too. Maybe you trapped yourself in time and someone has released you. Maybe, you decided that it was a waste of time and put your talents to improving the world. Maybe Gaia has finally got a grip or you might be able to cure the virus. Necklace of Skulls -Whether you find your brother or not, you still have to get home. There are a few ideas. Anyone got any more? Sorry for the OT, but Windhammer gamebooks are now available for downloading and voting!!! Hand of Fate is also a sequel to The Citadel of Chaos. Not sure it's compatible with Beggars, though. 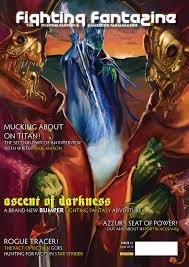 Another sequel to Temple of Terror is the multi-authored fan adventure From the Shadows, though that focuses on the Dark Elf army Malbordus would have led rather than Leesha. Surprised to see no mention of Appointment With F.E.A.R., when it's had sequels in Warlock magazine and Fighting Fantazine 8. And Vault of the Vampire had a sequel in the form of FF book 58. Additionally, the second scenario in the AFF book Dungeoneer addresses what could happen if the hero of City of Thieves has to return to Port Blacksand, and follow-up Blacksand! also considers the further adventures of the anti-hero of Midnight Rogue. As regards Forest of Doom, the suggestion that the Wild Hill Men attacked Bigleg and his party is odd, considering that Bigleg (a Dwarf, don't forget) described his attackers as 'the little people'. 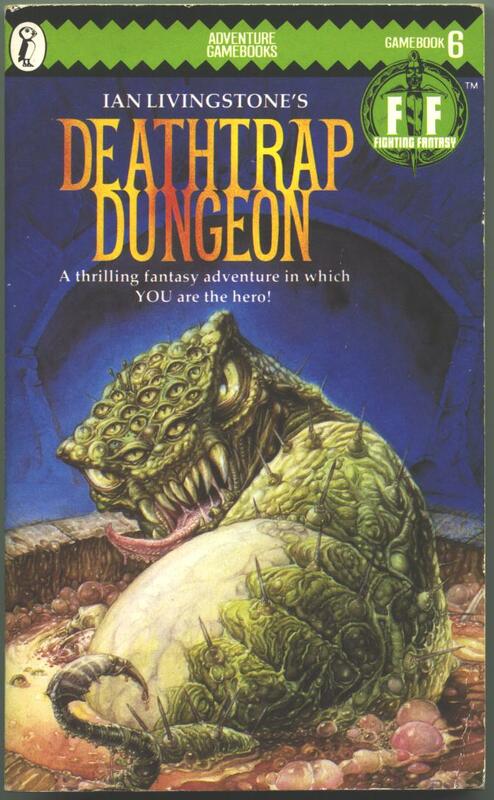 It is not properly a Gamebooks, but Deathtrap on legs (Warlock) is a sequel of Deathtrap Dungeon as well. 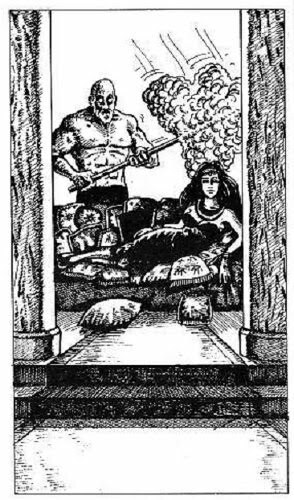 Sands of Time is a prequel of the Riddling Reaver, although they are RPG adventures, rather than gamebooks. House of Hell sequel...already done, twice: 'The Curse of Drumer' and 'Christmas in Hell'. Also a prequel 'House of Horror' has been around for some time. Rebel Planet - Now that the central computer has been destroyed, what happens to all the zombie-like Arcadians? Is it possible to reconstruct the computer and implement your own programming...? Star Strider - As mentioned in '400', the Gromulans desire revenge. What form will this take? Deadly assassination attempts upon the hero? Or perhaps the fate of billions hang in the balance...? Armies of Death - The hero has become a reputable warlord feared across Allansia. More bloody battles and much larger campaigns against the forces of chaos. Dead of Night - Since the Night Demon's defeat, the Templars grow in strength and influence...but so too do their enemies! Spectral Stalkers - The orb is once again lost - or stolen - and carried by another unwitting hero across the cosmos! A variety of possibilities with this one. There's a mafia-style protection racket going on in Port Blacksand, with Lord Azzur the suspected enforcer. Mafia rules dictate that petty crime is not tolerated and so the usual banditry and robbery in the city of thieves has given way to a more "orderly" kind of thievery. YOU are a spy, possibly from the now mostly-defunct yet even further underground Thieves' Guild, tasked with finding the cause of this vile racket. However, as you follow clues, so a deeper and more terrible mystery is uncovered....What do you reckon? That's a great idea! Another great plot-twist would be the sinister Lord Azzur bearing a grudge against Zanbar Bone for some mysterious reason; the hero may receive plenty of help from his soldiers if Zanbar Bone (as with Zagor) is resurrected. Especially if Zanbar Bone threatens the City of Thieves! Midnight Rogue - now a fully indoctrinated member of the Thieves Guild of Port Blacksand, you are entrusted with more and more dangerous (and genuine!) missions. As you rise through the ranks, you find yourself embroiled in a corrupt plot which threatens the existence of the Guild, the roots of which are traced to Lord Azzur himself. Chasms of Malice - you decide to throw yourself into a chasm for no reason whatsoever. Oh wait, that's too similar to the original.